– Shannon Rowbury speaking after running 3:56.29 to break Mary Decker Slaney‘s 32-year-old American 1,500m record at the Monaco Diamond League meet last Friday. The LRC recap of the race is here. 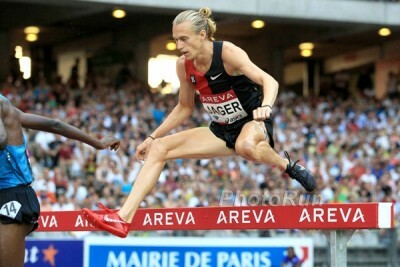 What time will Asbel Kiprop run in the mile in London on Saturday? Any chance of a DISTANCE Gold Medal at Pan Am? Wearing USA singlet: patriotic or disrespectful? Justin Gatlin tested 59 times by USADA since 2010. Chanelle Price: yet another poor women's pacing job. 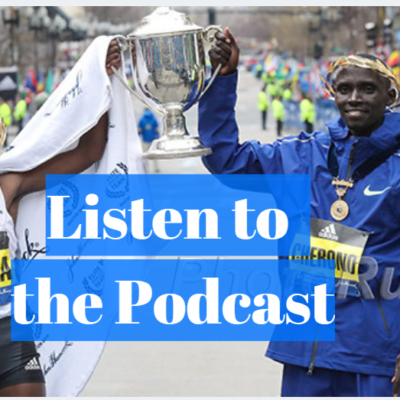 LRC What A Week – Shannon Rowbury Breaks 3:57, Eric Jenkins Breaks 13:10, 15-Year-Old American Sammy Watson Runs 2:03, And Is Maine Better Than Kenya At Producing Distance Runners? 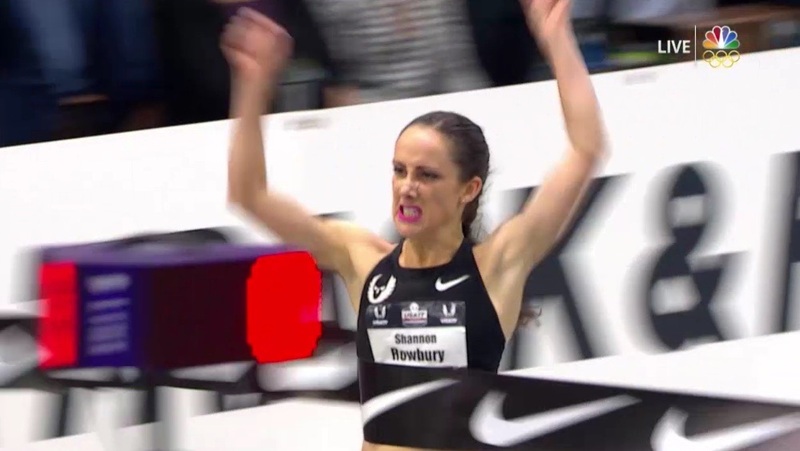 Shannon Rowbury reversed a very one-sided rivalry with Jenny Simpson to get the American 1,500 record, Eric Jenkins became the second-youngest American under 13:10, and 15-year-old Sammy Watson dropped a 2:03.55. Melissa Bishop Nips Alysia Montaño For 800 Gold At The Pan Am Games Bishop won in 1:59.62 to Montano’s 1:59.76. *USA Athlete Quotes From Montano And Other Medalists Montano said it was an “electric” experience losing to Bishop as she won gold on home soil. 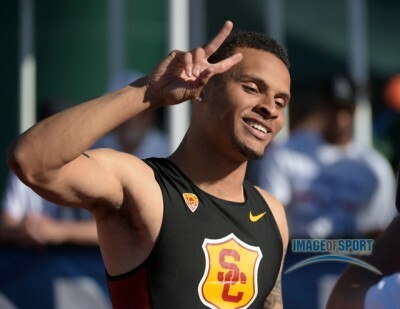 Canada’s NCAA Champ Andre De Grasse Wins 100 In 10.05 Jamaica’s Sherone Simpson won the 100 in 10.95 while USA’s Barbara Pierre was 3rd (11.01). Team USA Leads Medal Table After Three Golds On Wednesday Night Jeff Henderson (LJ), Shamier Little (400H), Kibwe Johnson (hammer) all took gold. 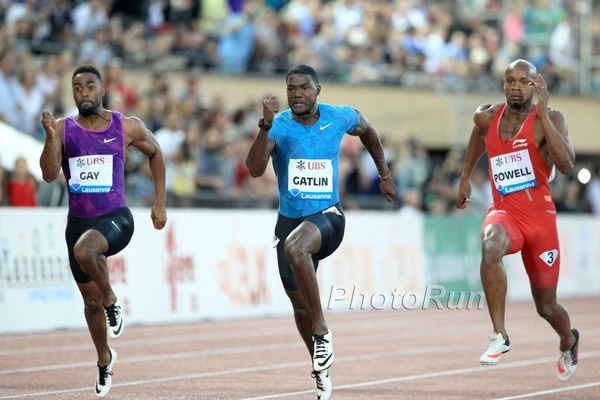 *MB: Justin Gatlin tested 59 times by USADA since 2010. 1. The Andre De Grasse show. 2. 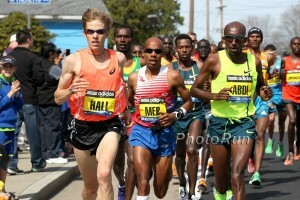 A hot men’s 5,000 with Levins, Heath and Torrence. 3. Three 1:57 women, including Alysia Montaño in the 800. 4. Olympians Andrew Wheating & Nate Brannen vs. Kyle Merber. 5. Major star power (PPP, Ibarguen, etc.). Queen Harrison Sets Meet Record To Win 100H At Pan Am Games She ran 12.52 as US’s Tenaya Jones took silver in 12.84. 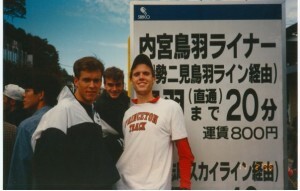 Other US medals included Cory Leslie‘s bronze in the steeplechase and Aron Rono‘s silver in the 10,000. 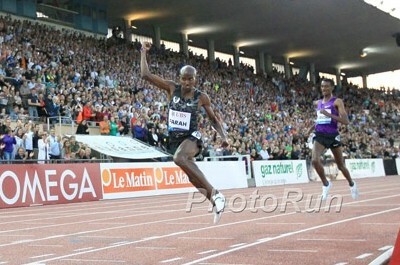 The winners in those events were Canadians and former NCAA athletes Matt Hughes (steeple) and Mo Ahmed (10,000). USA’s Kellyn Taylor Gets 5,000 Bronze She ran 15:52 as Brazil’s Julia Dos Santos won in 15:45. Lindsay Flanagan Gets Marathon Bronze For Team USA She ran 2:36.:30. The race was won by Peru’s Gladys Tejeda in 2:33:03. 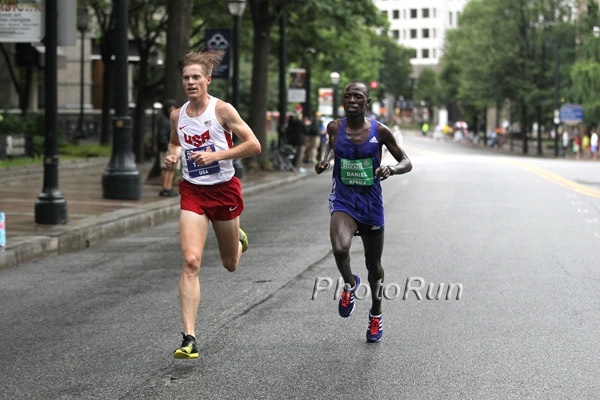 *MB: USATF accidentally gives Craig Leons Pan Am spot to Tyler McCandless. Should TrackTy give up slot? David Oliver, Jenn Shur, Wallace Spearmon Lead US Sprint/Field Athletes Desi Linden is in the 10,000. Hammer World Record Holder Anita Wlodarcyzk Highlights Poland Champs With The 10th Farthest Throw In History Adam Kszczot won the 800 in 1:46.70, beating out European indoor champ Marcin Lewandowski (1:47.32). September 13: Mary Keitany Vs. London Marathon Champ Tigist Tufa Headlines Great North Run Half Marathon The field also includes Priscah Jeptoo and Gemma Steel. September 3: Four Fastest 100m Women In 2015 Announced For Zurich DL Meet Shelly-Ann Fraser-Pryce will line up against English Gardner, Blessing Okagbare and Murielle Ahoure. Bahrain Not Just Buying Kenyan Distance Runners Now: Jamaica’s Former Olympic Silver Medalist Shericka Williams Is Transferring Allegiance To Bahrain Two sub-10 100m men, Andrew Fisher and Kemarley Brown, are also switching nationalities. Kevin Liao: “Justin Gatlin Deserves To Be On Athlete Of The Year Ballot” Despite Doping Past We agree that if he is free to compete, he should be eligible for the award. Whether or not he should be free to compete after testing positive twice is a separate debate. Final Day Report: USA’s Candace Hill Completes Sprint Double With A World Youth Record In The 200 At World Youth Championships She won in 22.43 to win by a ridiculous .47 seconds. Japan’s Abdul Hakim Sani Brown also won the sprint double, breaking Usain Bolt‘s championship record with 20.34. Team USA Wins Record Medal Haul USA took home 8 golds and 19 medals overall to top the medal tables. Kenya was next best with 5 golds and 13 overall. Kenya Gets Two More Gold Medals Via Richard Yator Kimunyan (3,000) And Vincent Kipyegon Ruto (2K Steeple) Yator ran 7:54.45, closing in 55 seconds to win a very close three-way sprint by .07 seconds. Day 4: USA’s Norman Grimes And Sydney McLaughlin Dominate To Win World Youth 400H Titles Ethiopia’s Bedatu Hirpa won the girls 1,500 in 4:12.92. Willy Tarbei And Kipyegon Bett Go 1-2 For Kenya In World Youth 800 Tarbei won in 1:45.58. Christopher Taylor Breaks Usain Bolt’s Jamaican Youth 400m Record; Runs 45.27 To Win He ran 45.30 in the semifinal before going even faster to win the final. LRC KBC Nacht Meeting: Ben True Gets IAAF Standard As Eric Jenkins Explodes To A 13:07 And Lauren Johnson Destroys Her PR To Make Worlds On A Night Full Of Fast American Running True ran 13:06 to seal the deal for Worlds with Jenkins right behind him in a huge PR. 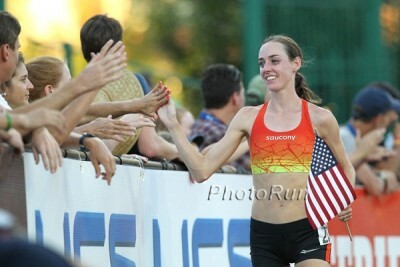 Abbey D’Agostino PRed at 5,000 as did Johnson to punch her ticket to Worlds in the 1,500. 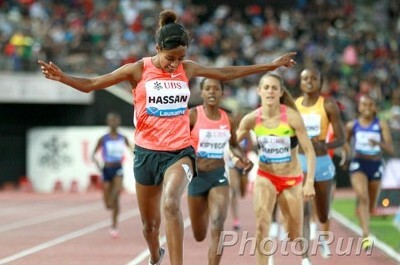 Other big names in action included Dejen Gebremeskel, Chris Derrick, Emily Sisson, Mary Cain, PVer Sandi Morris and Lolo Jones. Check out how they did. 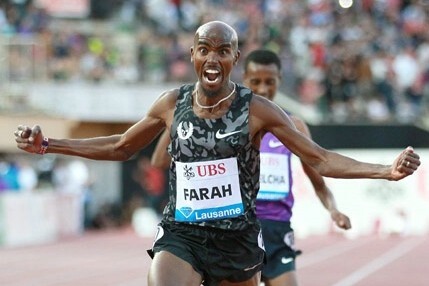 July 24-25: 41 World And 22 Olympic Champions Will Line Up When The Olympic Stadium Re-Opens For The London Anniversary Games Mo Farah, David Rudisha, Asbel Kiprop, Usain Bolt, Eunice Sum and more. Justin Gatlin Calls Out London Anniversary Games Double Standards As He Is Barred From Racing There He won’t be invited, but other athletes with past doping bans like Asafa Powell and Mike Rodgers are. Gatlin also had some advice for Mo Farah in his current situation. Russia Withdrawing Its Racewalkers From All International Competition To Avoid “Disgrace” Due To Doping If they want to be extra sure, they could just withdraw the entire team. 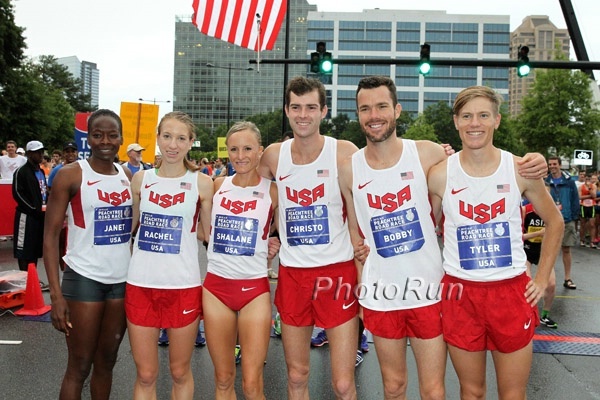 Craig Leon Added To US Pan Am Roster In The Marathon After USATF Admits It Forgot About Him When Making The Initial Selection Even after admitting that mistake, it took a “legal team” for Leon to get USATF to put him on the team. Mistakes like this shouldn’t happen; it’s a bad deal for both Leon and Tyler McCandless, who now loses a spot. Top Distance Runners Among Those Doing 22-Day, 520-Mile March For Peace In Kenya The walk for peace is to raise awareness of ethnic violence in northern Kenya, where cattle rustling and revenge killings are common. 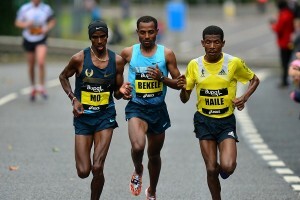 Wilson Kipsang, Paul Tergat, Ezekiel Kemboi, Haile Gebrselassie and Stephen Kiprotich are among those participating. 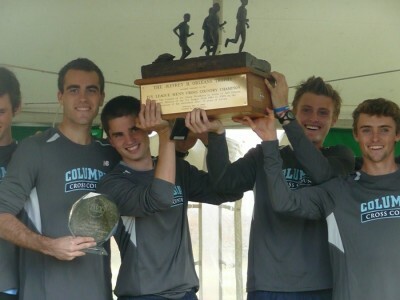 WTW Nike Is Correct – Actions Speak Louder Than Words In Regards To Doping, Meet The Family That Soon Will Have Three Sub-4 Milers, We Say Goodbye To A Coaching Legend And Hello To African 43-Second 400 Runners, And Is Scott Jurek’s New WR “Soft”? After a summer hiatus, The Week That Was is back. We do our best to avoid talk of the Nike Oregon Project doping investigation but can’t help but criticize Nike and Mo Farah‘s reaction to it. All of that plus praise for Genzebe Dibaba, Alexa Efraimson, Kerri Gallagher, Eric Jenkins, Lopez Lomong and Amel Tuka. 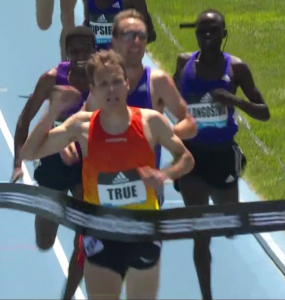 LRC Saturday What A Mile – Kiprop Vs. Souleiman As Centro, Leo And Blankenship Try To Go Sub-3:50; Amos Vs. Rudisha (And Berian) Rematch At 800, Molly Huddle Tries To Win The 5k The men’s 800 (Rudisha vs. Amos Rematch + Berian and Loxsom) and mile (Kiprop vs. Souleiman as Centro, Leo and Blankenship try to go sub-3:50) are the crown jewels of the Saturday action. Other action includes Molly Huddle vs. Mercy Cherono in the 5,000, Eunice Sum vs. Brenda Martinez in the 800 and an African showdown between Isaac Makwala (#5 all-time) and Wayde van Niekerk (#11 all-time) in the 400. LRC Friday What Does Usain Bolt Do At 100? 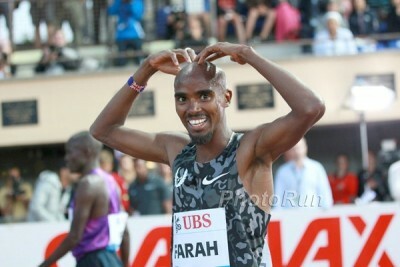 How Fast Does Mo Farah Try To Go At 3k? Friday DL Preview The DL meet in London is so good it takes up two days. 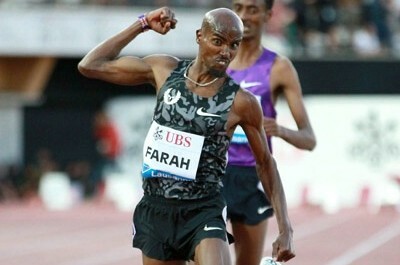 We preview down Friday’s action, where two of the sports biggest stars, Mo Farah and Usain Bolt, take center stage. 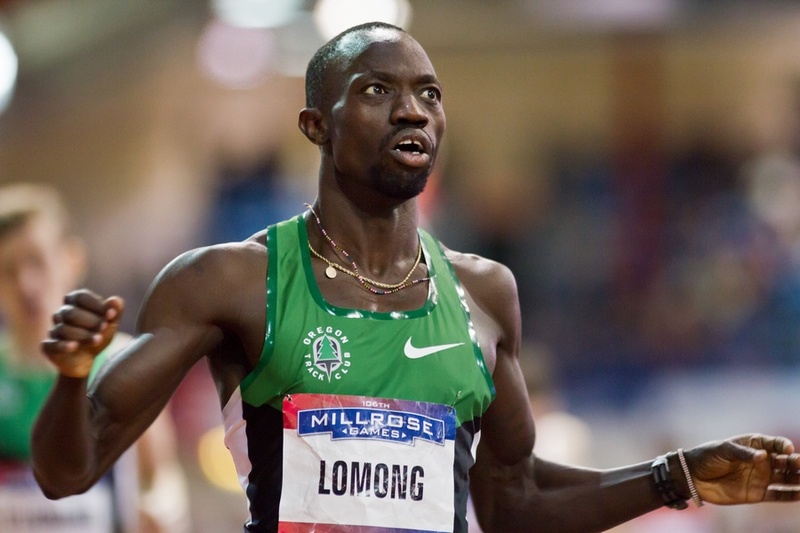 Farah faces Lopez Lomong & Bernard Lagat in the 3k, plus an American-heavy women’s 1,500 featuring Lauren Johnson, Katie Mackey, Treniere Moser. IAAF Full Meet Preview Wayde van Niekerk in the 400, Mutaz Essa Barshim in the HJ, Renaud Lavillenie in the PV, Jessica Ennis vs. Sanya Richards-Ross in the 200 and Dawn Harper-Nelson in the 100H, and a good women’s 100 with English Gardner, Blessing Okagbare, Muriel Ahoure. Three Years Ago, 19-Year-Old Dina Asher-Smith Was One Of The Volunteers At The London Olympics; Now She’s Returns As A NR Holder Asher-Smith is hoping to bounce back from a disappointing Monaco meet by breaking her own GB 100m record. Can GB’s Sub-10 Second Men Chijindu Ujah And James Dasaolu Challenge Usain Bolt? RW On Kerri Gallagher: From Running Dropout To World Championships Team Member Gallagher explains how she quit running after college to work at a wealth management group, but was convinced by her high school coach to move to Washington DC and be coached by Matt Centrowitz, Sr.
GB’s Commonwealth Silver Medalist Nick Miller Breaks 31-Year-Old British Hammer Record With 77.55m At The Karlstad GP This article incorrectly says he won. 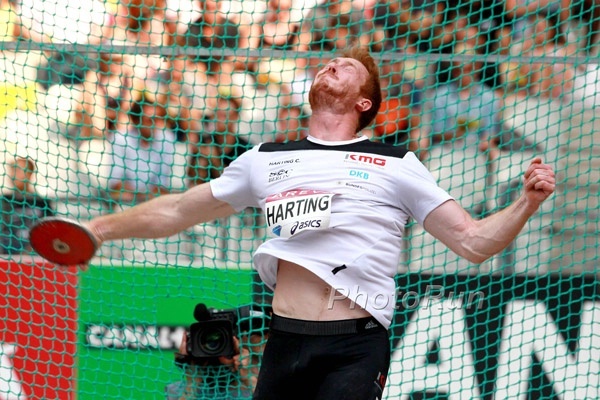 He was 2nd to Asian champion Dilshod Nazarov (77.95m). Recommended Watch: IAAF Inside Athletics Interview With Usain Bolt Ato Boldon has a lengthy video with Bolt talking about everything from the Olympics to why doesn’t do the 400. Bolt says it’s a problem being so tall because he is “unable to hide” and is spotted wherever he goes. JAA Head Warren Blake Talks About The Trend Of Athletes Leaving Jamaica To Represent Other Countries There have been reported cases where athletes going to Bahrain or Qatar have received $5,000 a month for life and additional bonuses for records. UK/Jamaica/Anguilla: Anguillan Sprinter Zharnel Hughes Talks About The Decision To Represent The UK In International Competition Anguilla can’t send athletes to the Olympics and is a GB overseas territory. 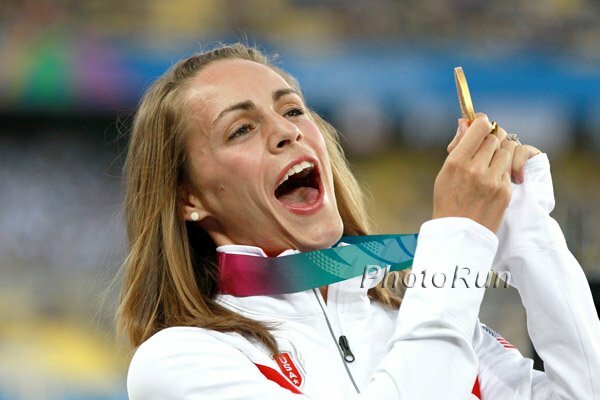 IAAF Personal Bests Q&A With Jenny Simpson Simpson says her best friend in track is Emma Coburn and her greatest rival was Anna Willard when they both ran the steeplechase. 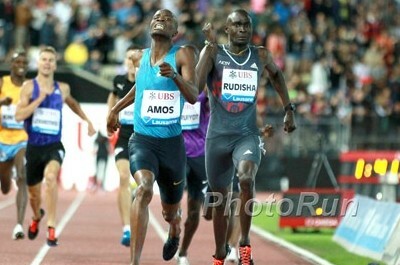 Shame On You, adidas: adidas Prevents Two Of Its Athletes From Running In 4 X 100 At Monaco DL Meet Because Of USATF’s Nike Singlets adidas won’t let their athletes wear a USA (Nike) kit unless it’s Worlds or the Olympics. 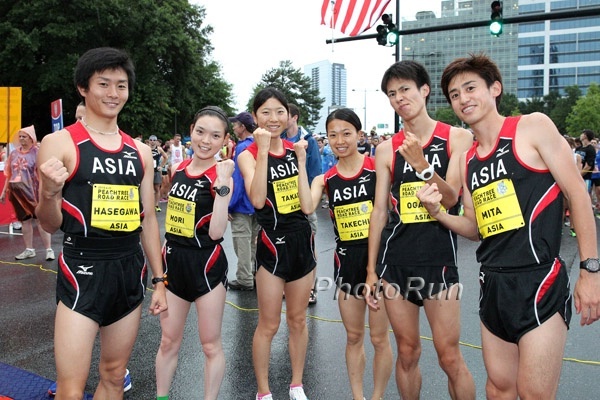 Bad on adidas and bad on whoever said the athletes had to wear USA Nike singlets for a DL race. Michael Johnson To Play Leading Role In New Values Commission If Seb Coe Elected IAAF President The new body would be created to help educate young athletes about illegal areas of sport like doping. Sprinter Candace Hill Is The Gatorade National High School Athlete Of The Year This year she ran 10.98 to set the national high school record. Arkansas Men Named DI Scholar Team Of The Year For Indoor/Outdoor Arkansas women were the indoor winners and Oregon women the outdoor. 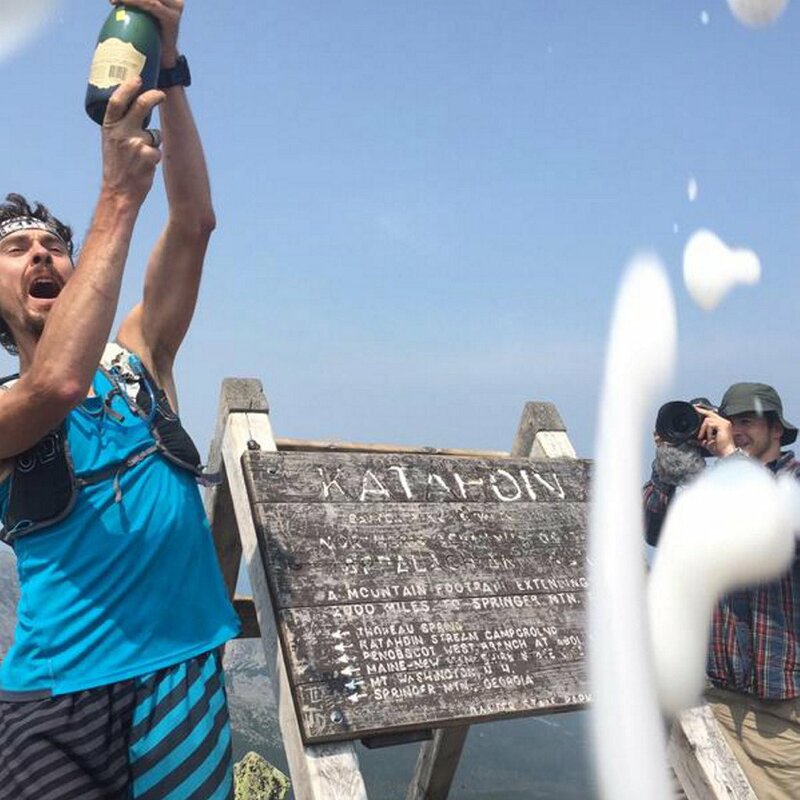 Scott Jurek Was Ticketed By Park Rangers For Breaking Rules Against Drinking After He Celebrated Breaking The Appalachian Trail Record At a glance, it seems the park overreacted in order to make an example of Jurek. For example, they gave him a ticket for “littering” because champagne spilled on the ground. *MB: Scott Jurek illegal littering and drinking at Maine state park??? LRC Investigates Lehigh Valley Got It Wrong: The Evidence Is Conclusive: Mike Rossi – The Viral Boston Marathon Dad – Is A Marathon Cheat And Should Never Have Been On The Starting Line In Boston In April, Mike Rossi gained international fame for his snarky response to a letter from his kids’ principal scolding him for taking them out of school for several days to watch Boston. 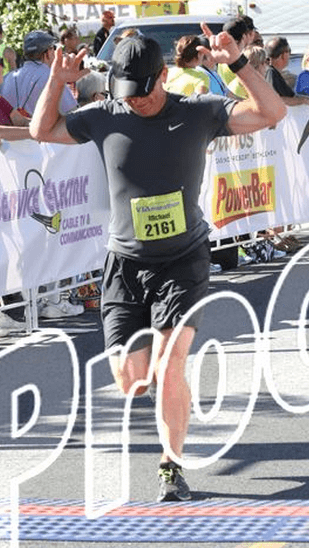 A LetsRun.com investigation has revealed that Rossi’s principal was correct, the kids should never have been in Boston as the evidence is conclusive – their father didn’t legitimately qualify for the 2015 Boston Marathon. How confident are we that Rossi cut the course when he “ran” his 3:11:45 BQ qualifier at Lehigh Valley? Extremely. We’ll pay Mike Rossi $10,000 if he qualifies again in the next 12 months – and the qualifying time is 13+ minutes slower – 3:25. Kenyan 400 Hurdler Maureen Chelagat Hoping To Break Streak Of Poor Championship Performances In Beijing 2015 First, though, she still has to get the qualifying time as she’s only run 52.2 and needs 52.0. This Is Seriously Just Happening Now? Russia Suspends Top Racewalking Coach Viktor Chegin, Who Has Had At Least 20 Athletes Banned For Doping We assumed this would have happened back in the winter when all the Russian drug scandal news was coming out and the IAAF started investigating him. The fact that Russia has allowed him to continue coaching athletes all this time is a disgrace. South African Recent 400 Stud Wayde van Niekerk Breaks National 200m Record With 19.94-Second Victory This was a ridiculous PR as his best before now was 20.59. 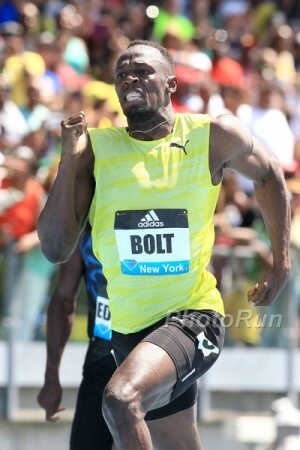 He now becomes only the 4th man to break both the 20-second barrier and the 44-second barrier. Asafa Powell Dominated The 100 In 9.97; Yohan Blake Was 2nd In A Slower Heat With Only 10.20 US’s Charonda Williams won the 100/200 double, beating Veronica Campbell-Brown in the 200. LRC Dealing With Depression: How I Got Past Suicidal Thoughts While Running In College For a while, life didn’t feel real to Nico Composto – it existed entirely in his head. Might a fall from the 12th floor window make all the pain go away? 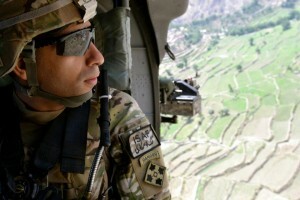 Thankfully, Composto realized that suicide wasn’t the answer. 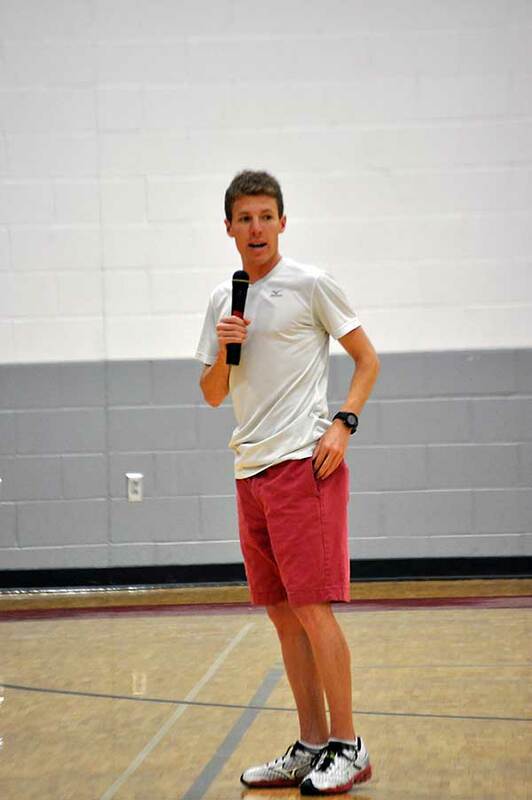 He shares his powerful story of how he overcame suicidal thoughts out of a desire to help others. 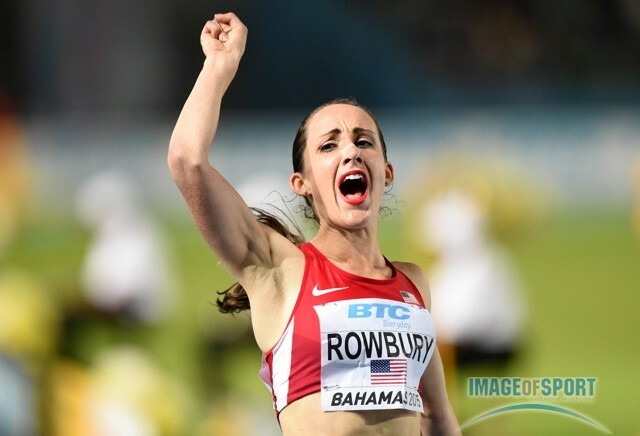 Good Q&A With Shannon Rowbury About Running 3:56.29 To Break The American 1,500 Record In Monaco Rowbury talks about her rivalry with Jenny Simpson, medaling at Worlds, training with NOP and her thoughts on the Turkish dopers who placed ahead of her at the 2012 Olympics. 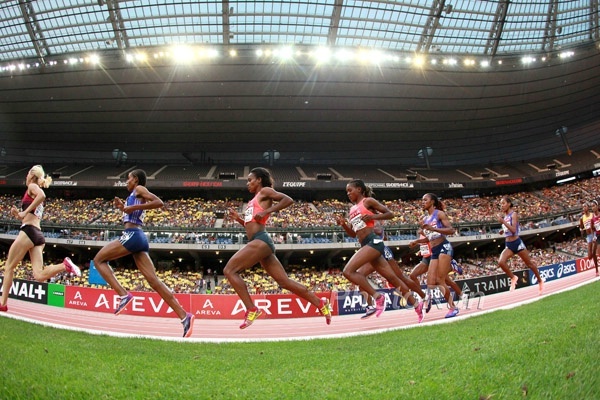 Interesting Stuff: Statistical Analysis Of Genzebe Dibaba’s 3:50.07 And Other World Records: Will Other Previously “Untouchable” Records Fall Too? Crazy Stat: Dibaba closed in 2:01.7 for the last 800m, which would have made her the 8th-fastest Ethiopian woman ever in the 800m. Nick Willis After Running 3:29.66 To Finish 5th In Monaco: “It puts me in the top five or six in contention for medals.” Willis talks about staying away from the action before Monaco staying in a separate hotel and warming up outside the stadium. LRC Gala Del Castelli: Germany’s Fabienne Kohlmann Gets Upset Victory In The 800 With 1:58.37; Bosnia’s Tuka Amel Wins Easily In 1:45.80 Molly Ludlow ran 1:59.05 to finish as runner-up while Erik Sowinski was 5th in the men’s race (1:46.95). Asafa Powell got another easy 100 win in 9.87. 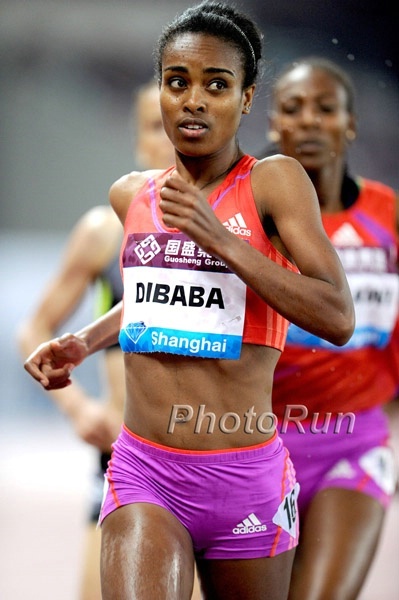 Ethiopia Names Its Team: Genebe Dibaba Only Chosen In The 5,000 In 2013, the Ethiopian federation put Tirunesh Dibaba in only one event to give younger runners “experience.” We hope they don’t make the same mistake again; Genzebe should be in the 1,500 as well. Canada Sending 51 Athletes To Beijing Cam Levins will do the 5/10 double, Brandon McBride in the 800. Andre De Grasse in 100, but not 200. Two-Time NCAA Champ Sam Crouser Making Attempt To Get Javelin Standard Wednesday At Concordia Throws Meet Crouser was 3rd at USAs, but has only thrown 79.19m this year and needs 82.0m. Usain Bolt Up Against Mike Rodgers, Ryan Bailey, Nesta Carter, Kemar Bailey-Cole And France’s Jimmy Vicaut At London DL Meet Normally this would be easy for Bolt, but with his lack of form this year the Jamaican headline reads, “Bolt To Face Solid Test In London.” It definitely could be interesting. Yohan Blake Racing Morton Games In Ireland On Friday US athletes in action include Robby Andrews, Jordan McNamara and Shelby Houlihan. 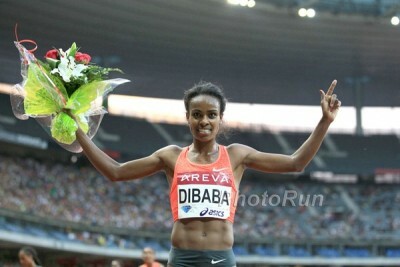 LRC Genzebe Dibaba Runs 3:50.07 To Smash 1,500m World Record!!! Shannon Rowbury Crushes AR! 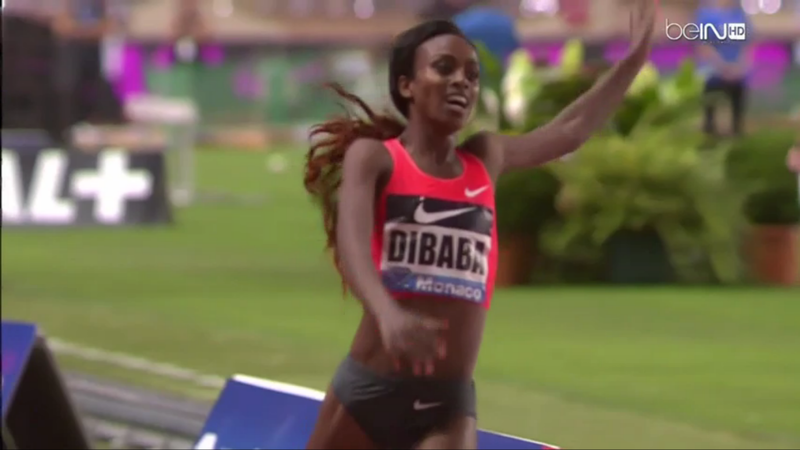 (updated) Genzebe Dibaba has done the unthinkable and has run 3:50.07 for 1,500m to smash the world record and take a Chinese WR off the books. Jenny Simpson served as a rabbit for Shannon Rowbury for 1,500 as Rowbury kicked home for the American record. LRC Asbel Kiprop Puts On An Exhibition, Running 3:26.69 To Destroy 1,500 Field And Become Third-Fastest Man In History (udpated) It was the deepest men’s 1,500m race in history with ten of the top twelve setting lifetime personal bests, but no one was even close to touching Kiprop. Matthew Centrowitz PRed and became the fastest American-born runner in history. That’s the good news. The bad news – he was 10th. 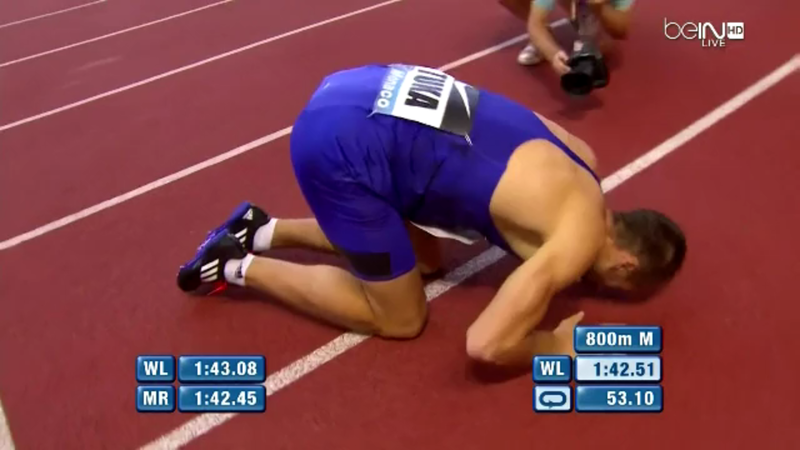 Rest Of Monaco: A Guy You’ve Never Heard Of From Bosnia Runs 1:42.51, Boris Borian Runs 1:43.34, The Clean World Record In The Shot Put By Kovacs? 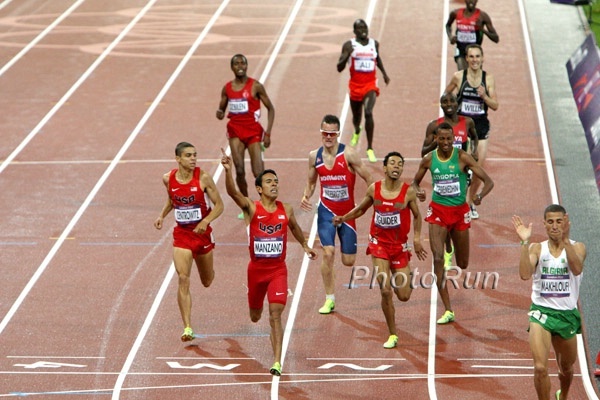 And Ghribi Runs World-Leading Steeple Some European dude you’ve never heard of (Amel Tuka) ran 1:42.51, Boris Berian of the US went 1:43.34, Joe Kovacs threw a bomb in the shot, Justin Gatlin kept winning, Ghribi led a world-leading parade in the steeple as Emma Coburn had another sub-par race. Holy Mother of ***. 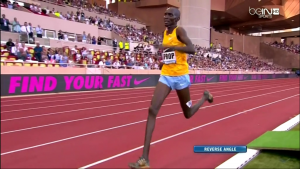 Kiprop 3:26.69!! At 70% fitness, he destroys the Monaco field. What is the new drug out there? Monaco times are unbelievable. NY Times: Japan Scraps Olympic Stadium Plan Over $2 Billion Price Tag Includes video with Prime Minisiter Shinzo Abe saying that the government would start over from zero on a new Olympic stadium plan. 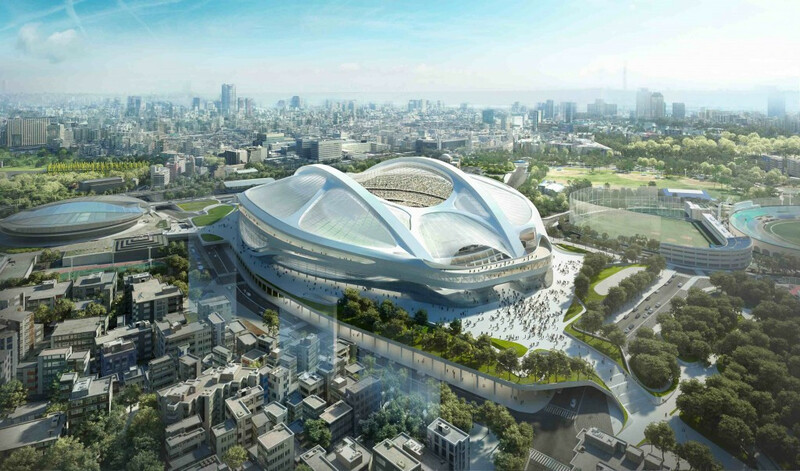 Architect Who Chose Design For Tokyo 2020 Olympic Stadium Admits Cost Too High But Warns, “We can’t abandon Zaha.” The cost of the stadium ballooned to almost double the original estimate. Monaco rabbits will go through in 54, 1:50 and 2:17!!!! Jenny Simpson Says She Was Inspired By Deena Kastor And Shalane Flanagan When She Watched Them Winning Medals Now she’s focused on winning another medal of her own at Beijing 2015. Sunday: Jeffrey Eggleston, Fernando Cabada And Bobby Mack Headline This Sunday’s Rock ‘N’ Roll Chicago Half Marathon Women’s race is lead by Lindsey Scherf and Maegan Krifchin. Vivian Cheruiyot Working Hard To Reclaim A World Title In Beijing In 2011, she won the 5,000/10,000 double, but isn’t sure which event she’ll focus on for 2015. 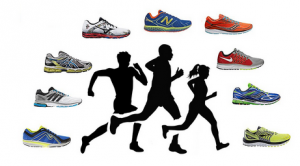 RunnersTribe Looks At Some Of The Top Australian Running Books Top of the list is “The Unforgiving Minute” by Ron Clarke. Kara Goucher Issues A Statement – “I firmly stand by all my statements. 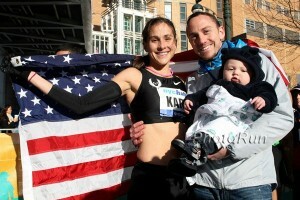 It was because of the illegal actions that occurred at the Oregon Project under Alberto Salazar that I chose to leave the group … Any new knowledge will be shared to USADA alone.” Kara Goucher issued a statement today saying she will not publicly share more information about the Nike Oregon Project investigation in order to clear her name as she previously said she would do. Instead she will only share info with USADA. 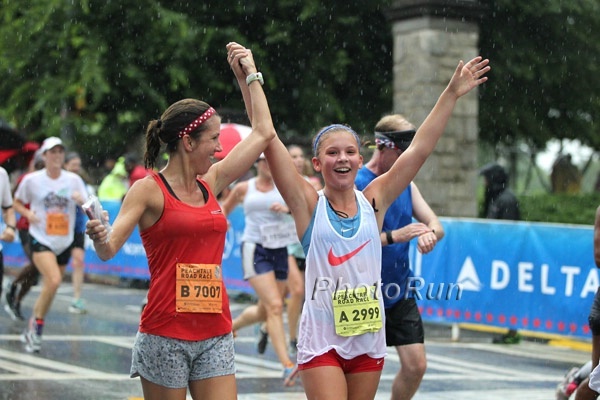 Recommended Read: 14-Year-Old Amaris Tyynismaa Has Used Running To Almost “Cure” Her Tourette Syndrome In the process, she’s become one of the country’s top young runners, running times that could have qualified her for Foot Locker finals as an 8th grader. 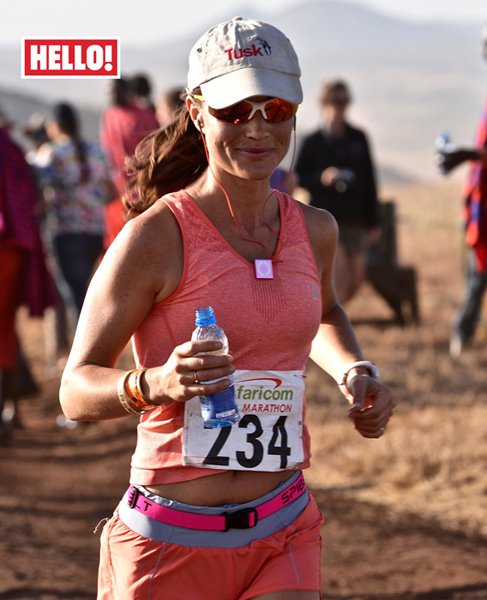 Pippa Middleton (Younger Sister Of The Duchess Of Cambridge) Completes Her First Marathon With 3:56:33 In Kenya She placed 7th in the woman’s race, the first non-African.